The grape varieties we grow take root in a typical gravelly sandy soil of Saint-Émilion and the Libournais. The distribution of grape varieties used is 85% Merlot and 15% Cabernet Franc. In a move for quality and optimal management of the vineyard, vines are rather short enough and pruned according to the simple Guyot vine training system with 8 buds. The winemaking process remains traditional and each year the maceration lasts approximately a month. Wines are aged in oak barrels for around 12 months. The casks are replaced every 4 years. 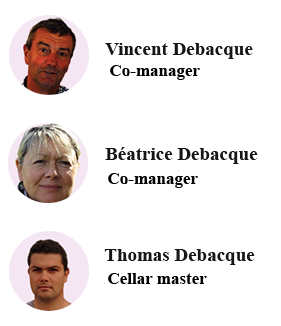 Today, the quality of the wines produced by the Debacque family is recognised worldwide. 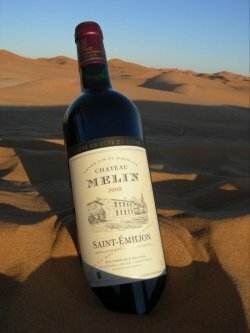 The Château Mélin is fully appreciated from 5 years old and is best consumed within 15 years for the great vintages. It goes fantastic with risotto, red meats (rack of lamb, duck aiguillettes,…), game, pan-fried foie gras as well as soft cheeses with bloomy rinds (camembert, brie, coulommiers,…) and uncooked pressed cheeses (cantal, morbier, tomme de Savoie,…).